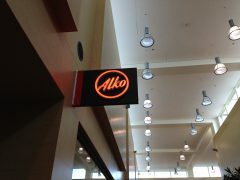 Kesko is about to lose several Alko store locations to discount chains. Yle reports about upcoming changes in eastern Finland. Finnish S-group’s and K-Group’s advantage of having a 80 percent majority of Alko liqour stores sales next to their own stores might be over.